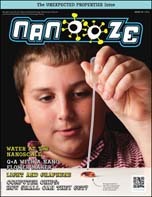 Nanooze (we say nah-news) is NNIN's branded "direct to student" outreach activity. It consists of a kid-friendly web site, a print edition distributed through classrooms, workshops, and museums, and two museum quality interactive exhibits. 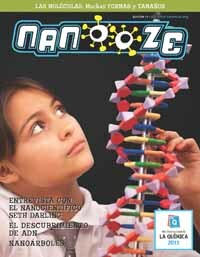 Nanooze is a place for kids to learn about the latest exciting stuff in science and technology. What kind of stuff? Discoveries about the world that is too small to see and making tiny things. 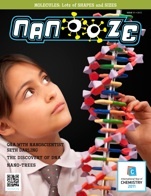 Nanooze makes reading and learning abou these discoveries fun! Please note that nanotechnology is very broad and that many nanotechnology concepts are accessible to kids when presented properly. 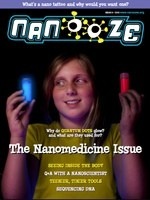 And many nanotechnology concepts are just variations on things that are already in the curriculum. 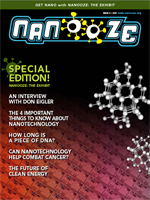 Nanooze is distributed by NNIN and produced by Cornell University, more specifically, by Prof. Carl Batt of Cornell University. Questions and comments on content should be directed to Professor Batt (cab10@cornell.edu). Nanooze started as a cool website, directed at kids. 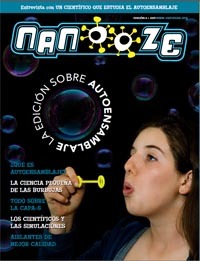 Nanooze on the web is available in Engish, Spanish, and Portuguese. 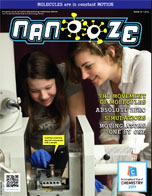 Nanooze in Print is a free classroom "magazine" devoted to nanotechnology. 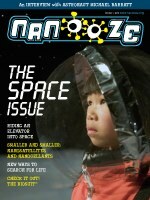 Each issue is full of articles and attractive color pictures on exciting topics in science and technology, delivered at the "kid level". While the content is generally aimed at the middle school level, it is written to be accessible and enjoyable for almost all ages. The reading level is appropriate for upper elementary students. Nanooze is mostly used as classroom enrichment or resource material. 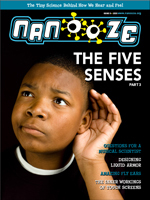 It can be used in support of specific curriculum, for topical "research", and as free reading material. 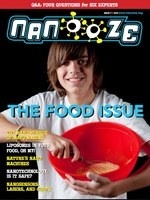 Two or three issues per year are published; about 100,000 of each issue have been distributed. NNIN is happy to consider large scale (district wide) distribution arrangements. 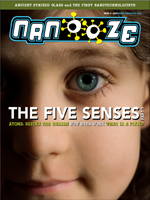 We are particularly interested in novel uses of Nanooze and any information of the effectiveness of Nanooze in various situations. 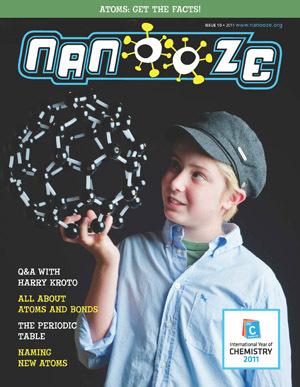 NNIN is happy to consider non-profit partners (museums, research centers, university outreach programs) for secondary distribution of Nanooze in Print. Please contact Prof. Batt or Dr. Rathbun. 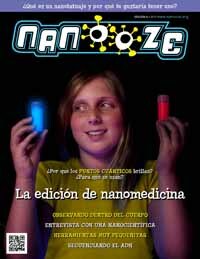 Through the efforts of Dr. Yajaira Sierra-Sastre and some enthusiastic students in Puerto Rico, NNIN is now able to offer print-ready files of Nanooze in Print, in Spanish. 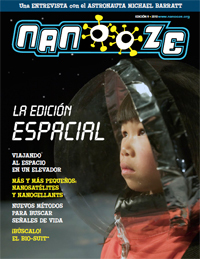 Currently, Issue 6 , 8, 9, 10, and 11 are available.. NNIN is not at this point able to distribute printed copies of Nanooze in Spanish, but feel free to print the files for your use. Your feedback is appreciated. NNIN has two 1500 sq.ft. interactive "museum" displays that are currently deployed at Disney World Epcot and at Innoventions in Disneyland Anaheim. 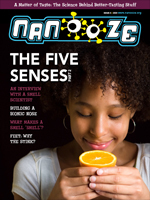 There exhibits were developed under other progr ams, but now fall under the "Nanooze" brand. 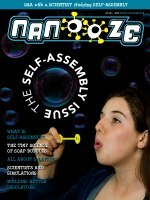 They promote nanotechnology and Nanooze to hundreds of thousands of visitors each year.